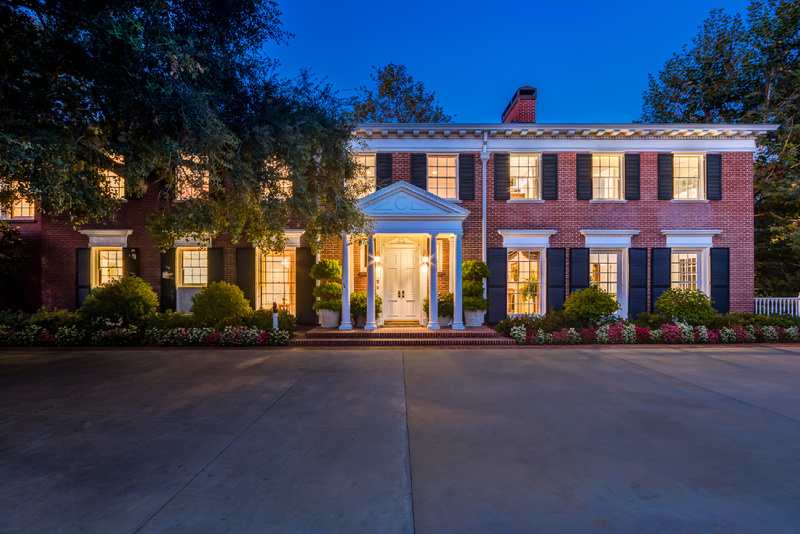 An architectural jewel in a premier estate location! 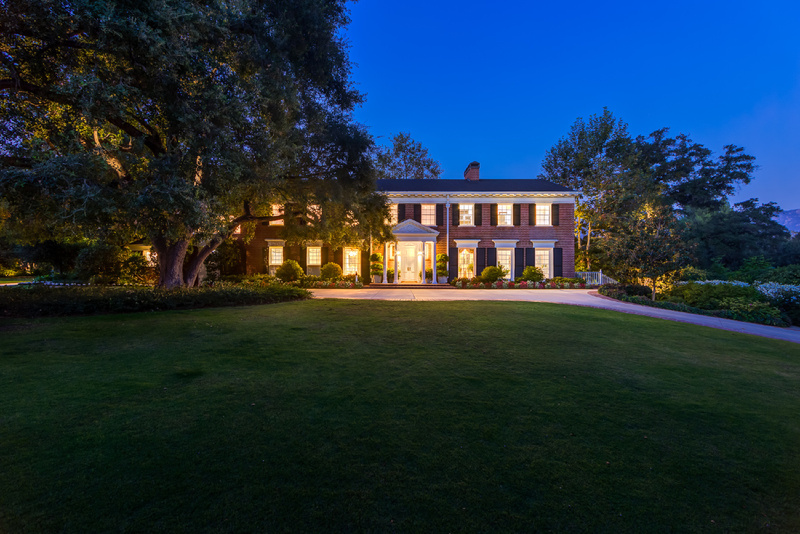 Impressively sited on almost two acres, this magnificent brick-faced Georgian Colonial Estate exudes both classic grandeur and the warmth of a truly well-loved home. 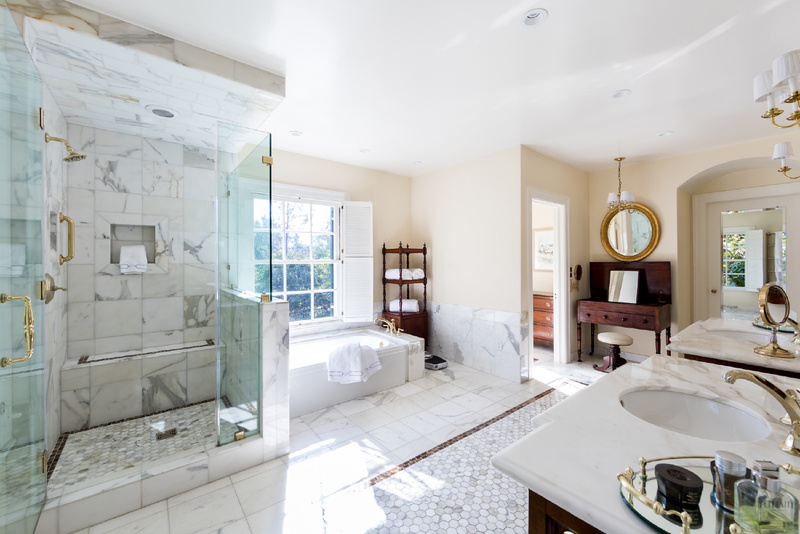 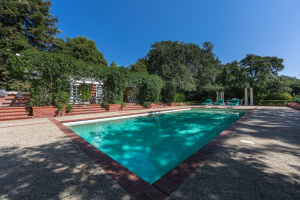 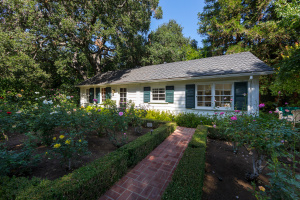 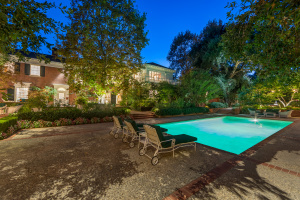 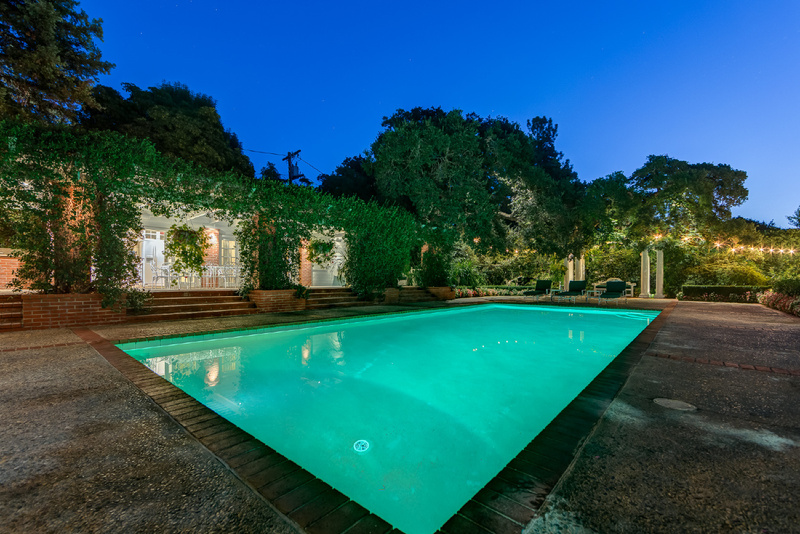 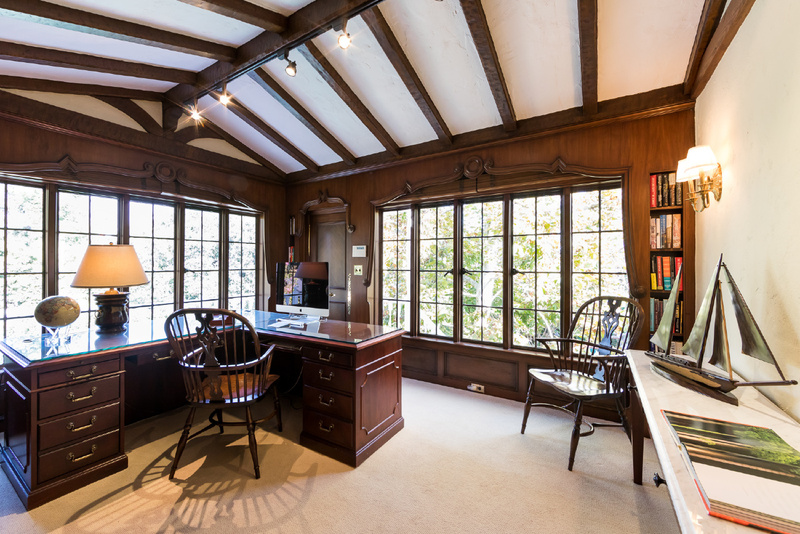 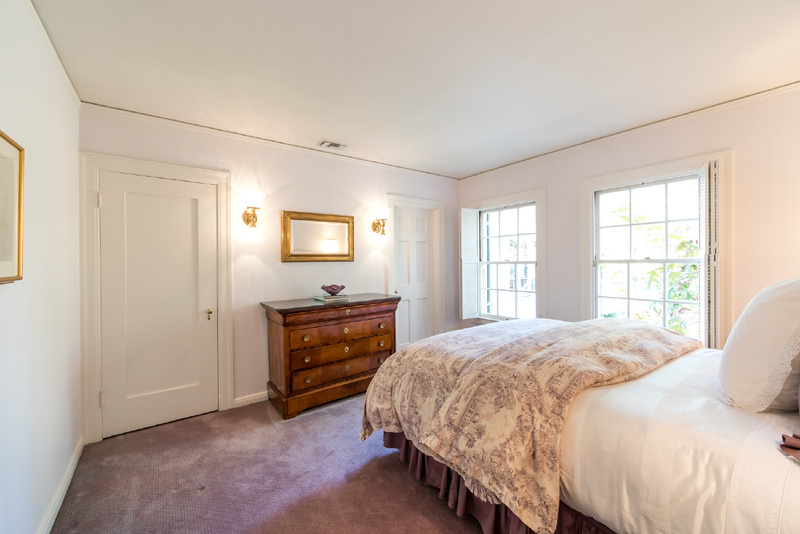 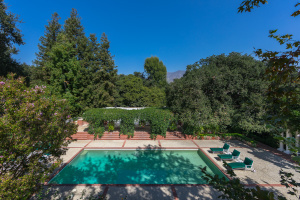 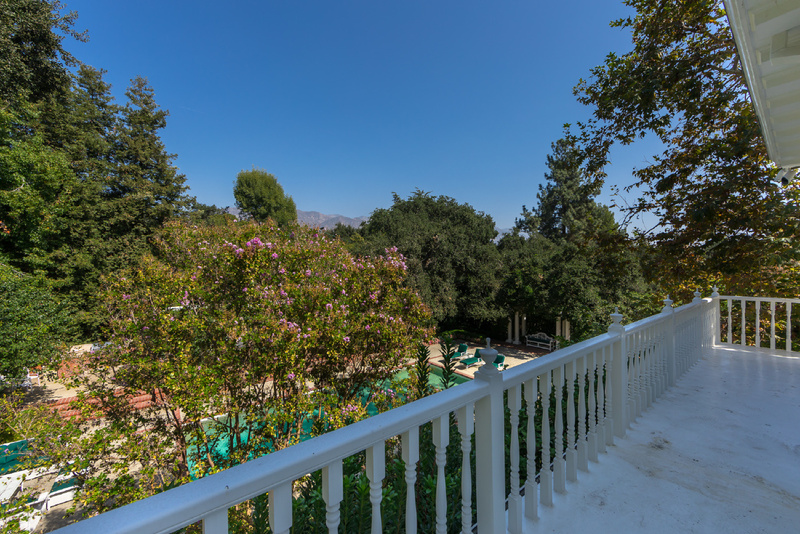 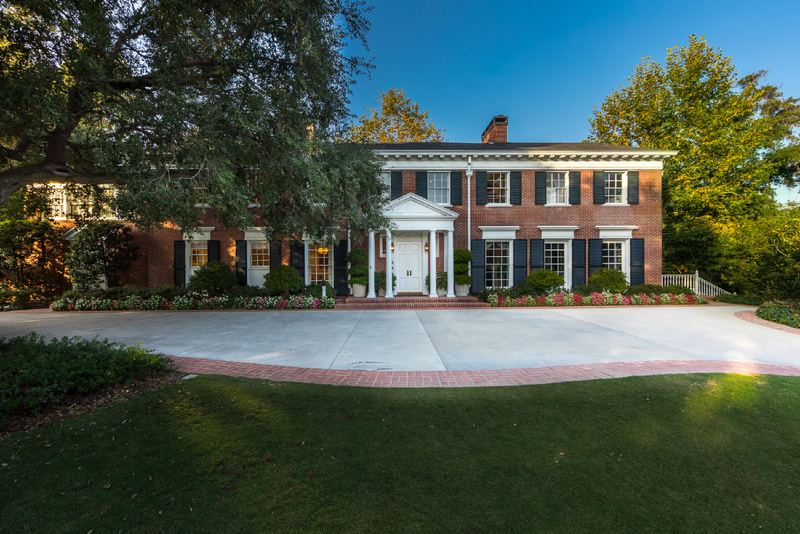 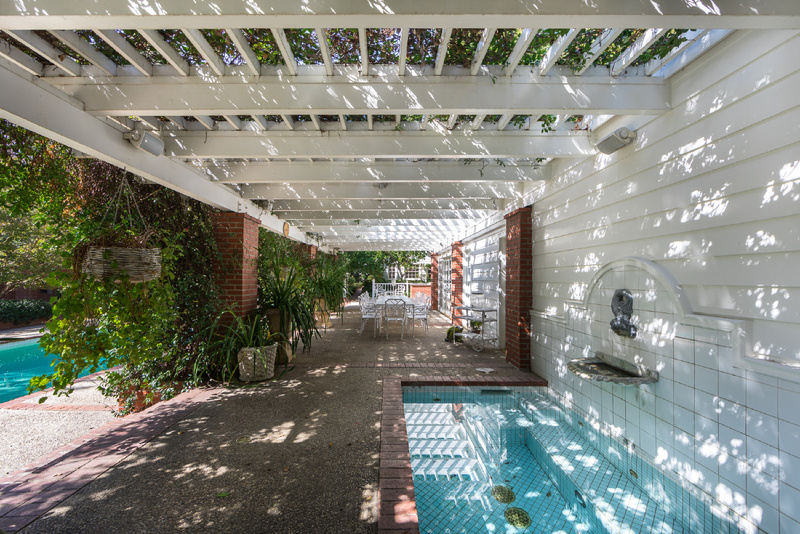 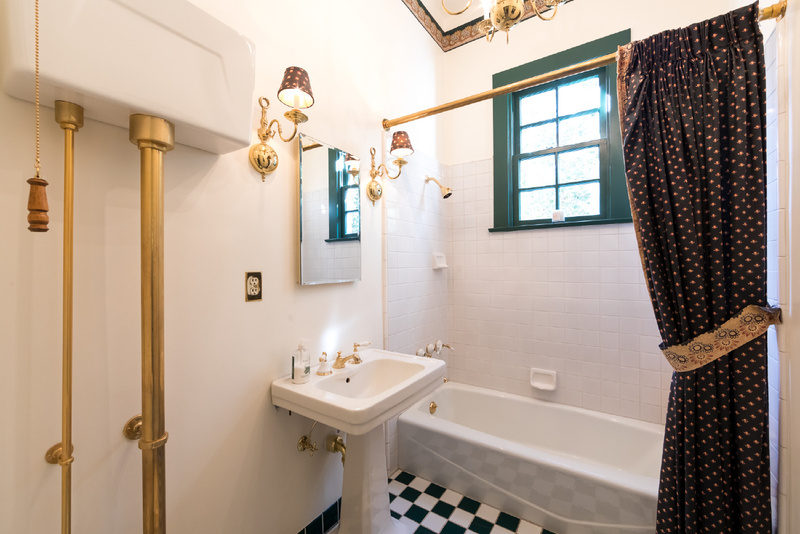 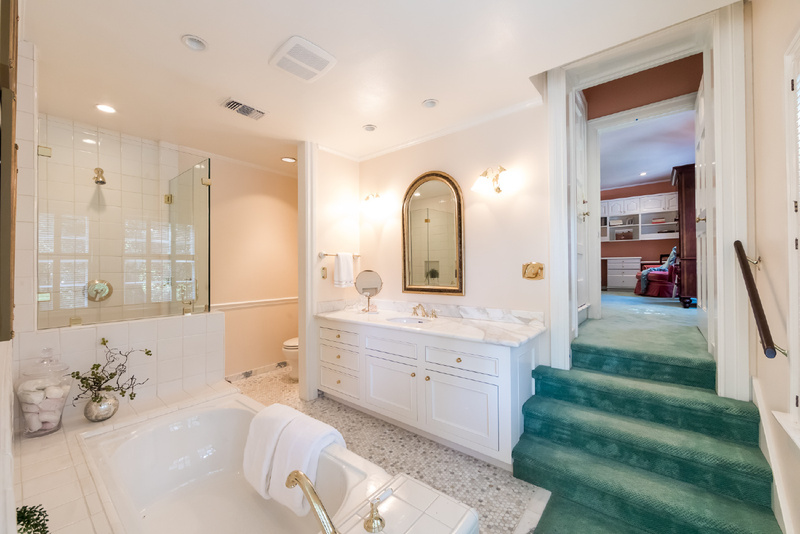 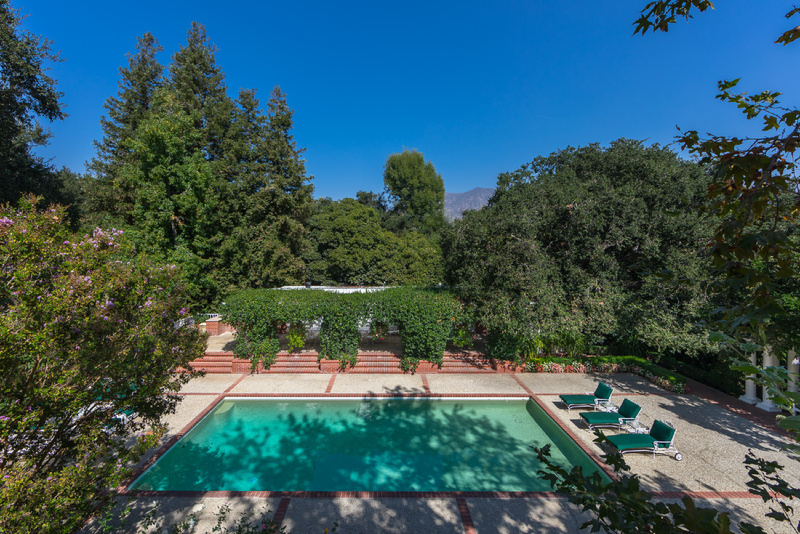 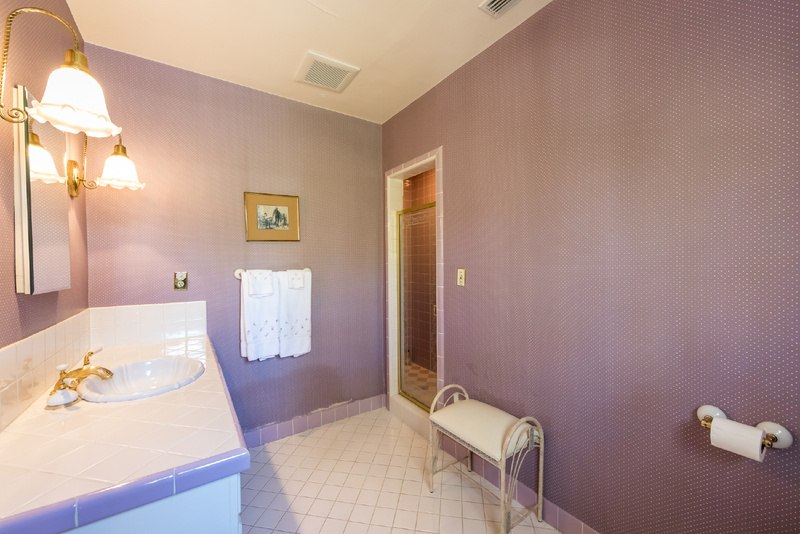 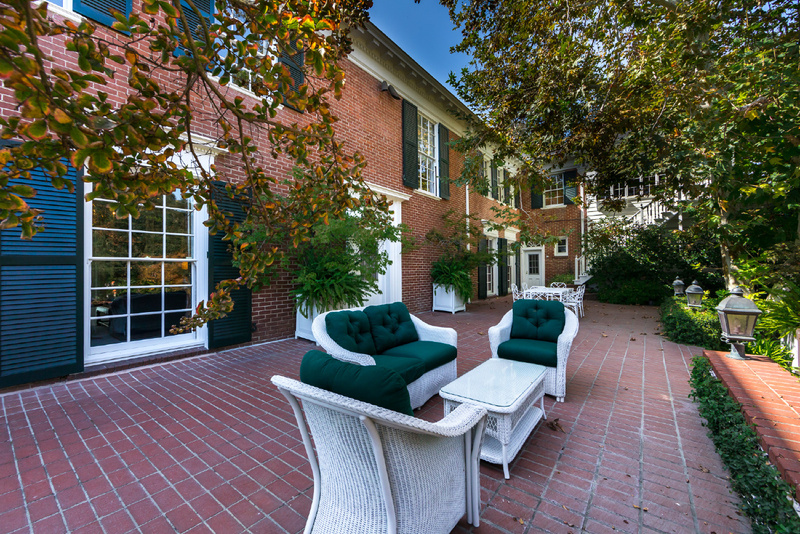 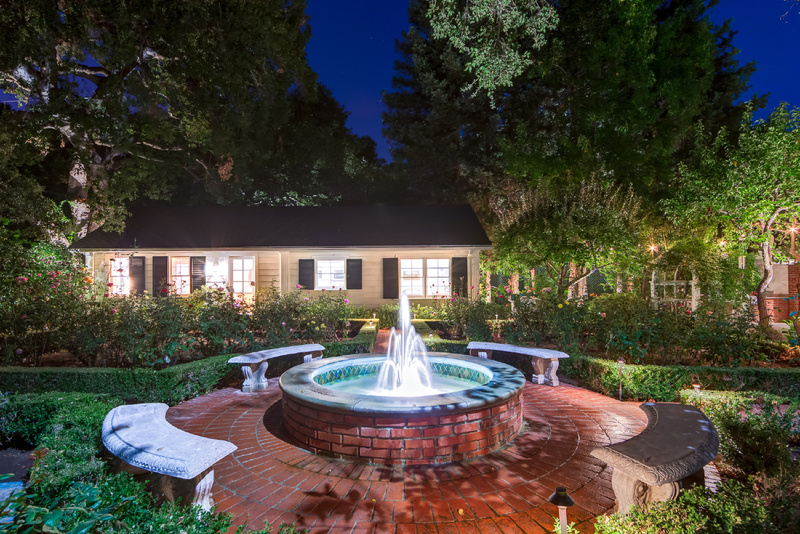 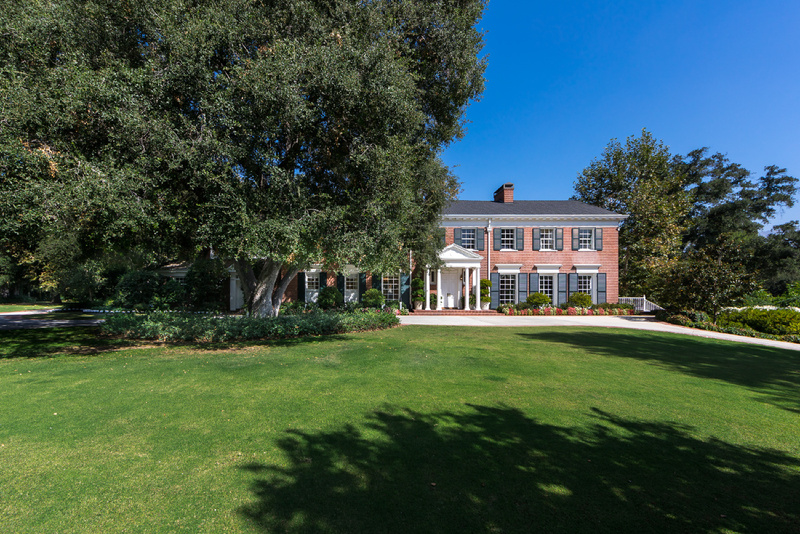 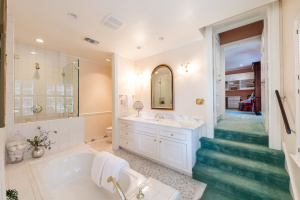 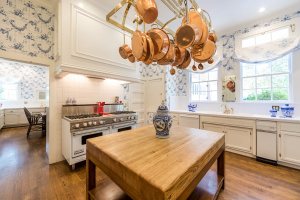 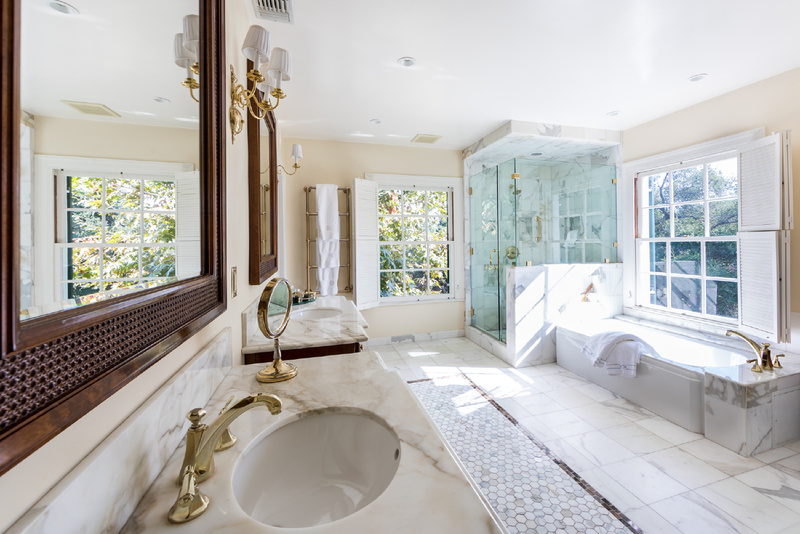 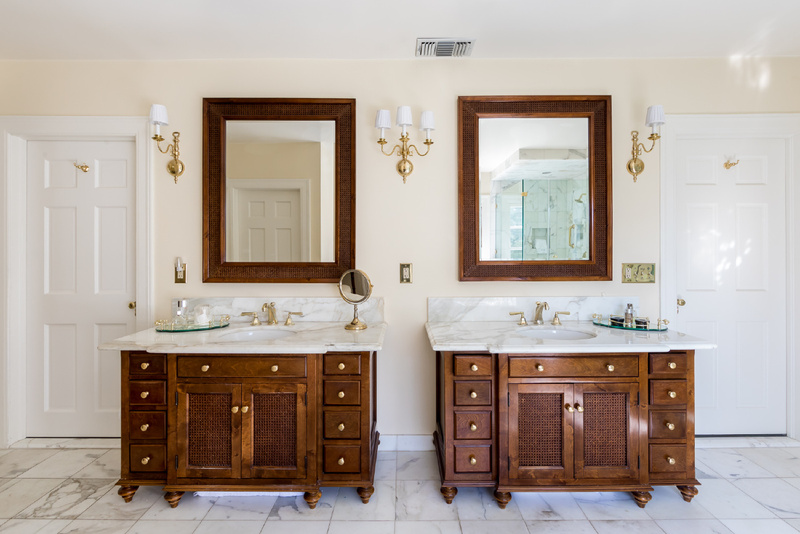 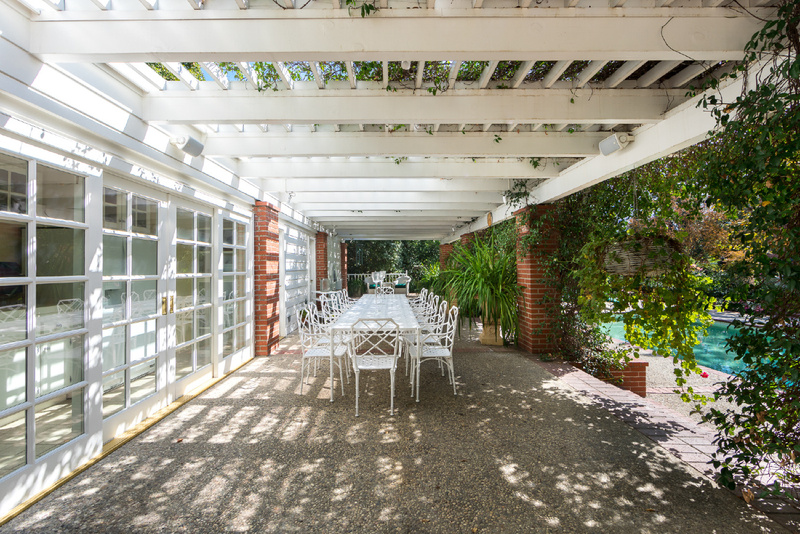 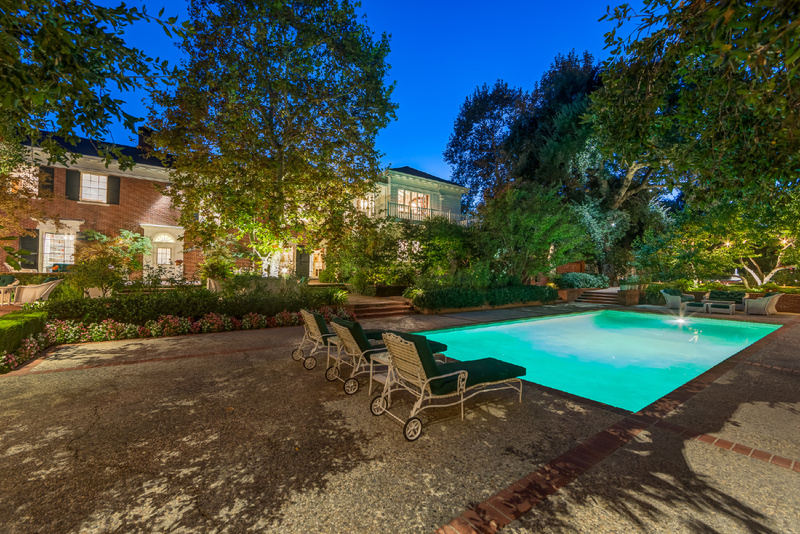 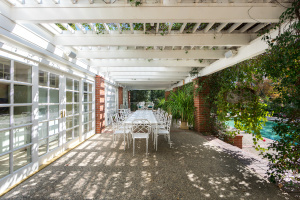 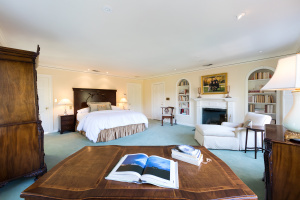 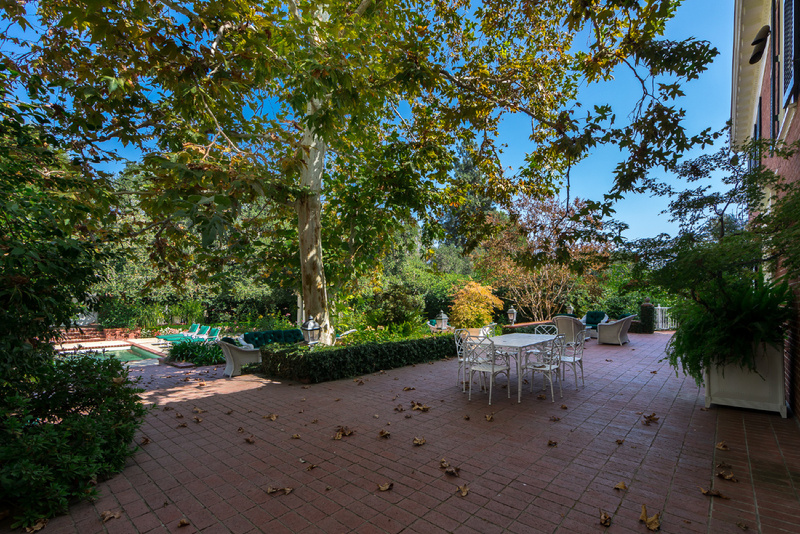 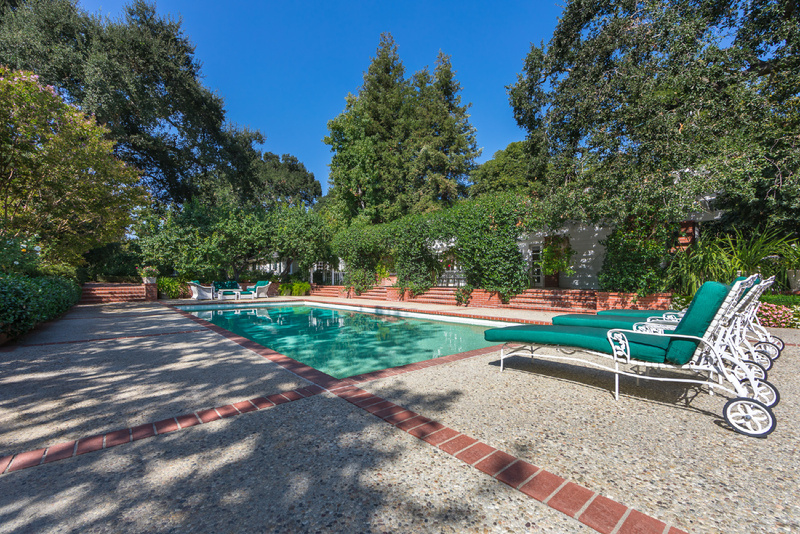 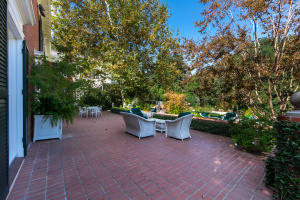 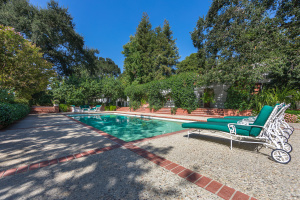 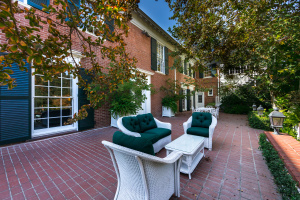 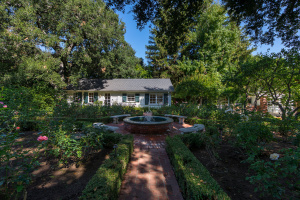 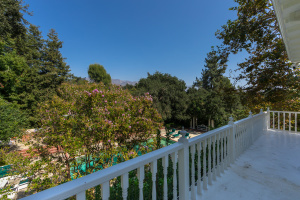 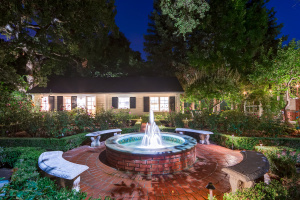 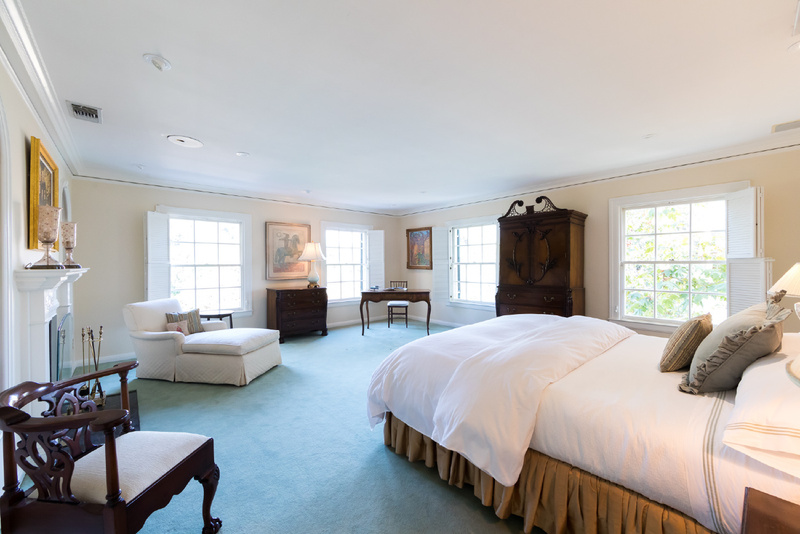 Designed by famed architect Ray Kieffer in 1924, this six bedroom, eleven bathroom gated residence is surrounded by mature oak trees, manicured lawns, beautiful rose garden and park-like grounds. 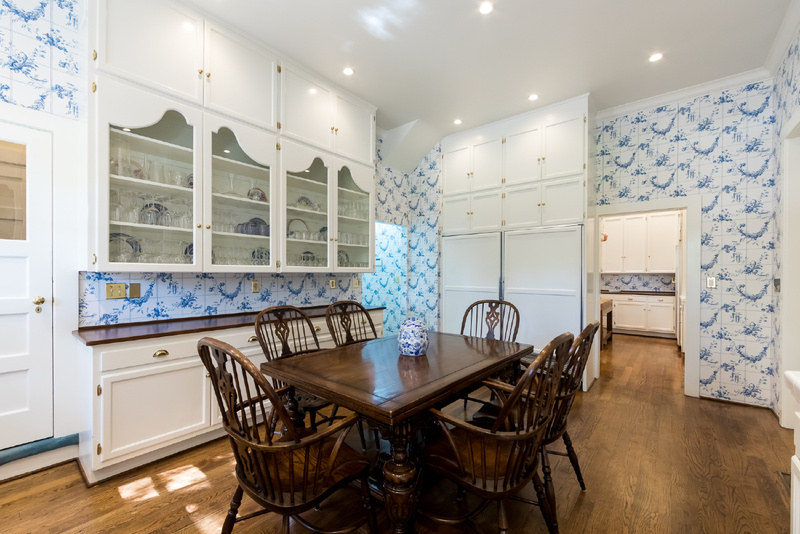 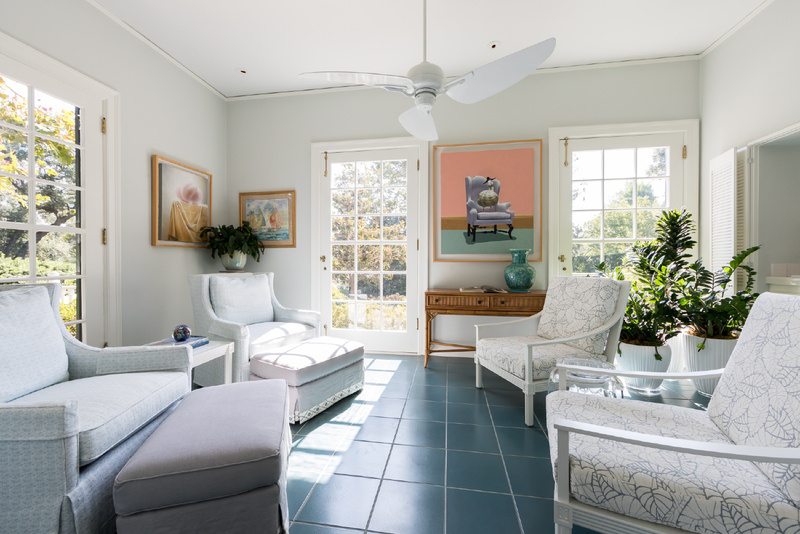 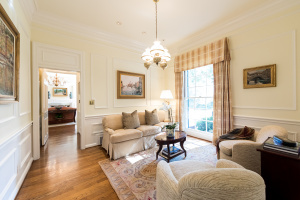 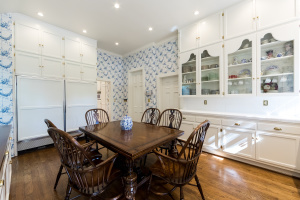 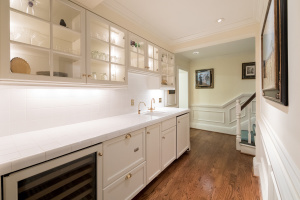 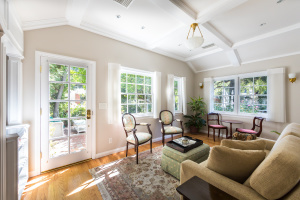 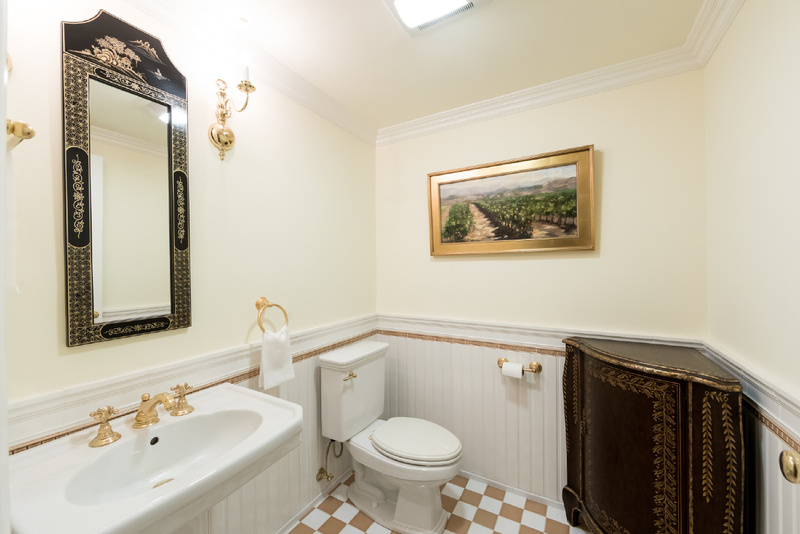 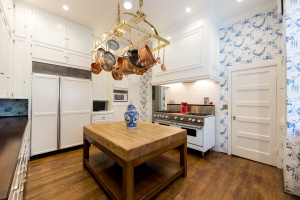 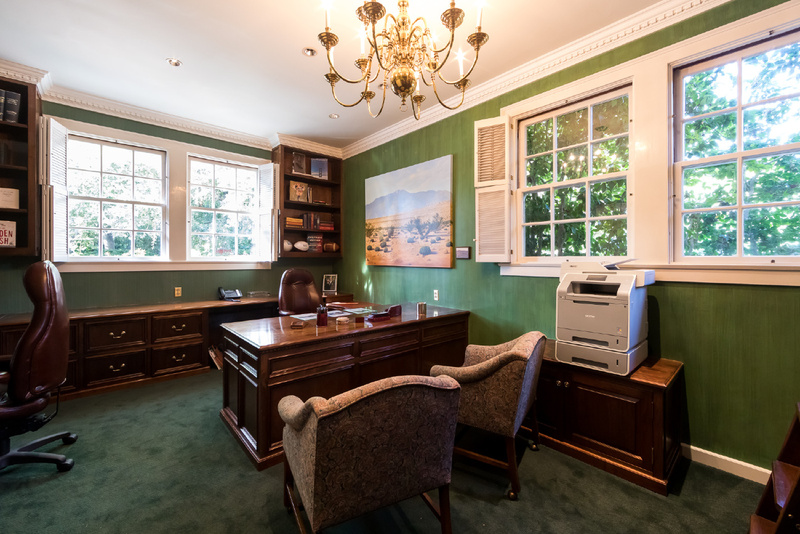 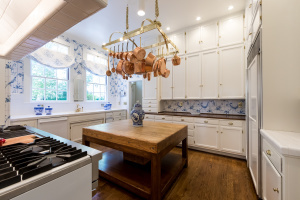 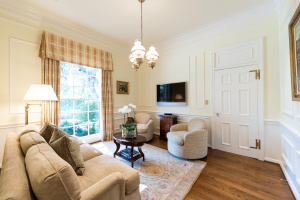 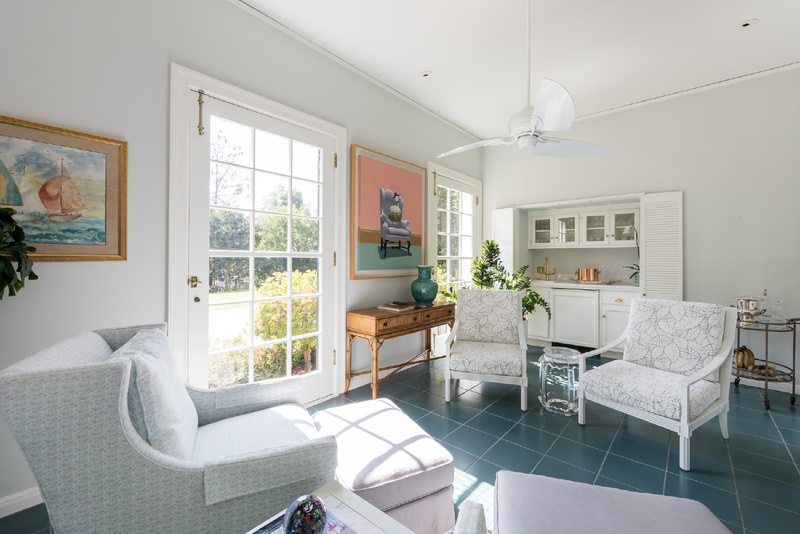 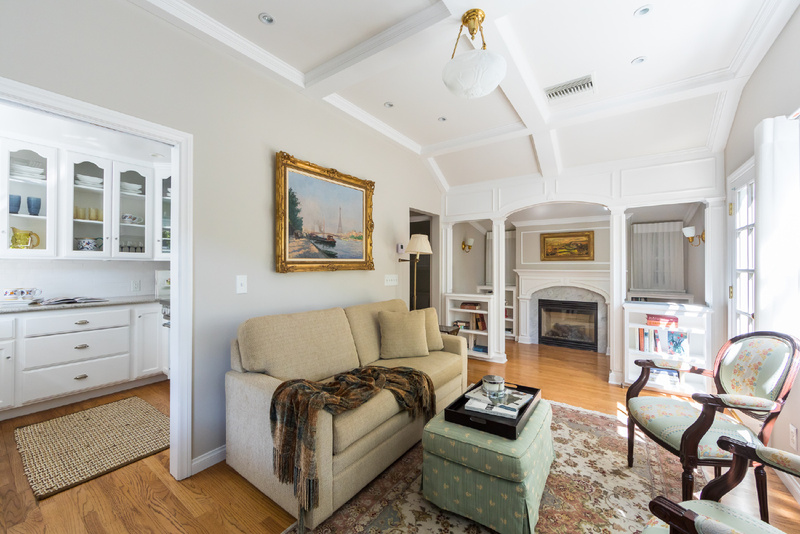 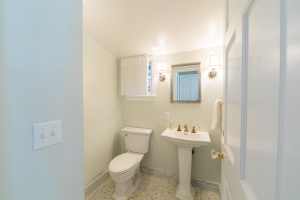 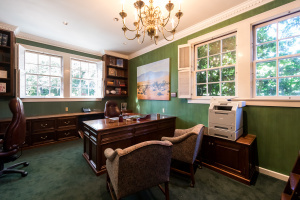 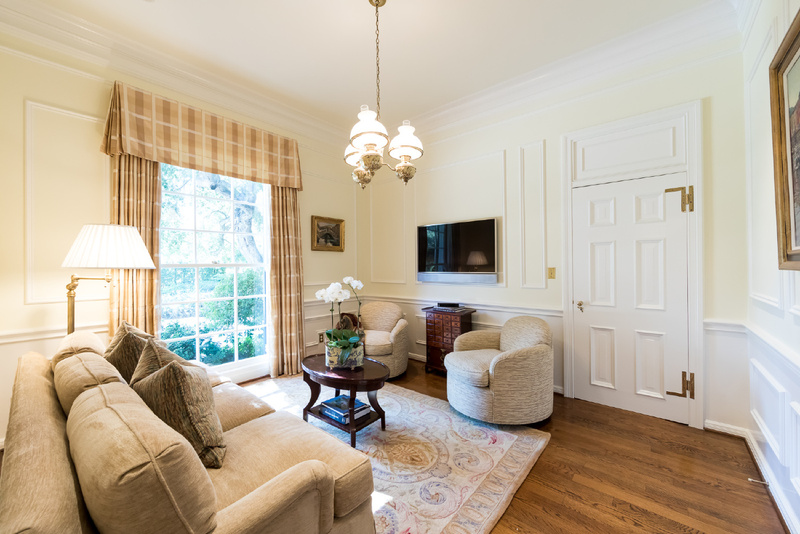 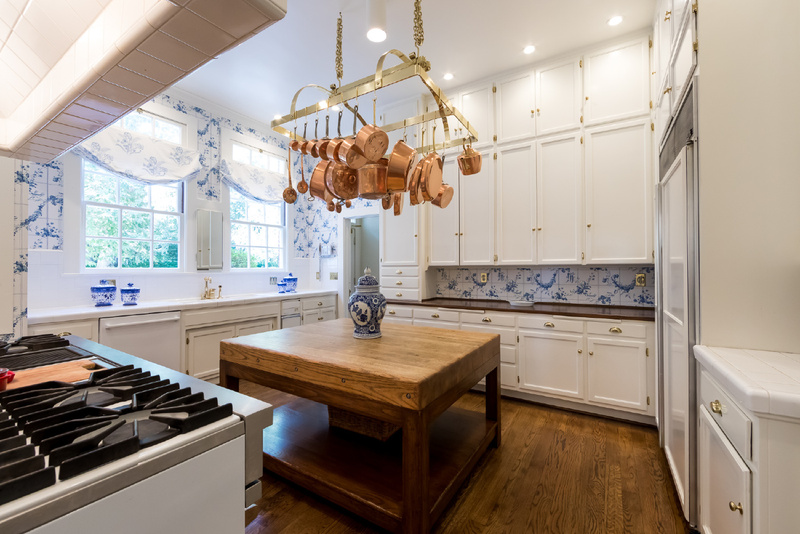 Owned and loved by the same family for over 32 years, the current owners have meticulously maintained this house with attention to detail, optimizing it for both day-to-day living and large scale entertaining. 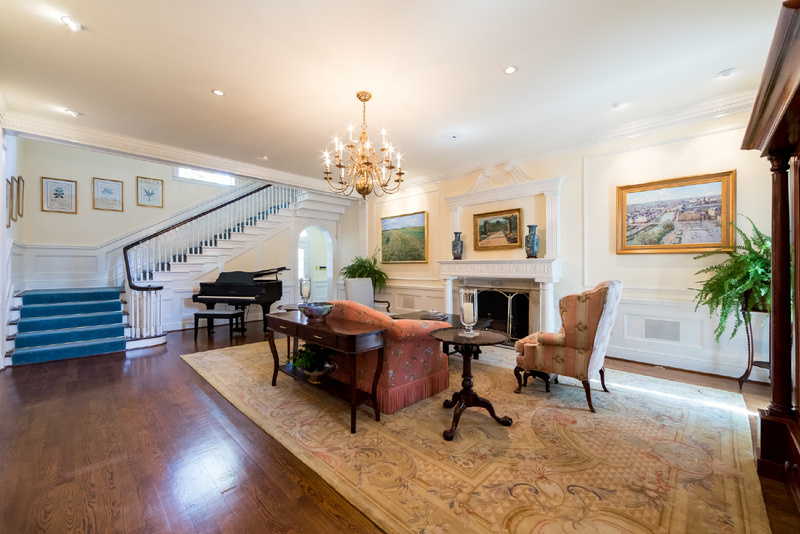 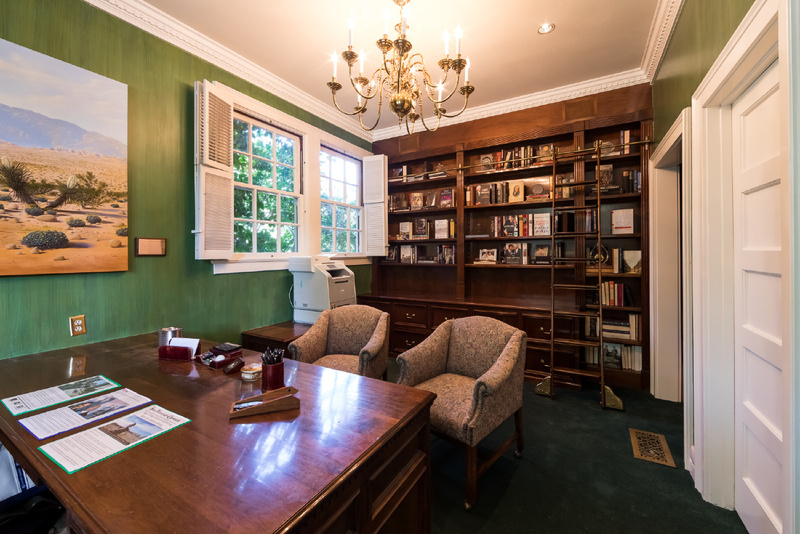 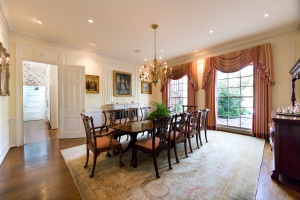 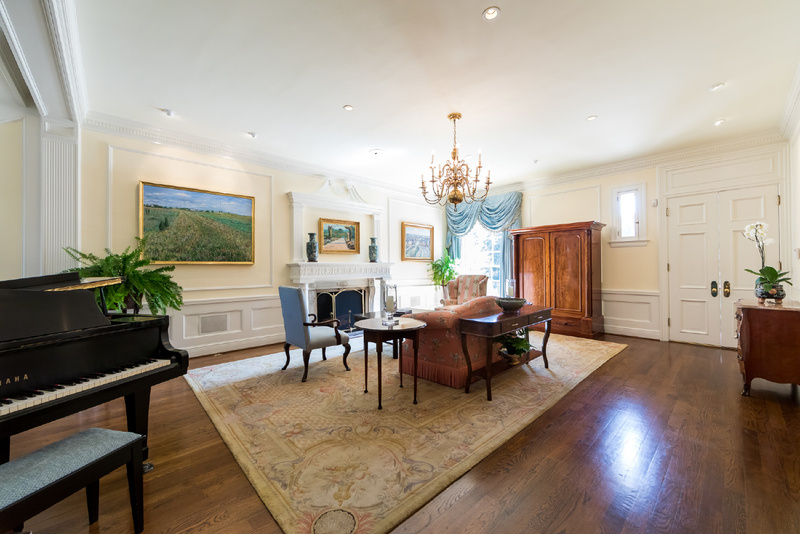 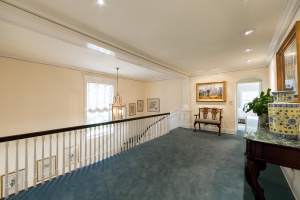 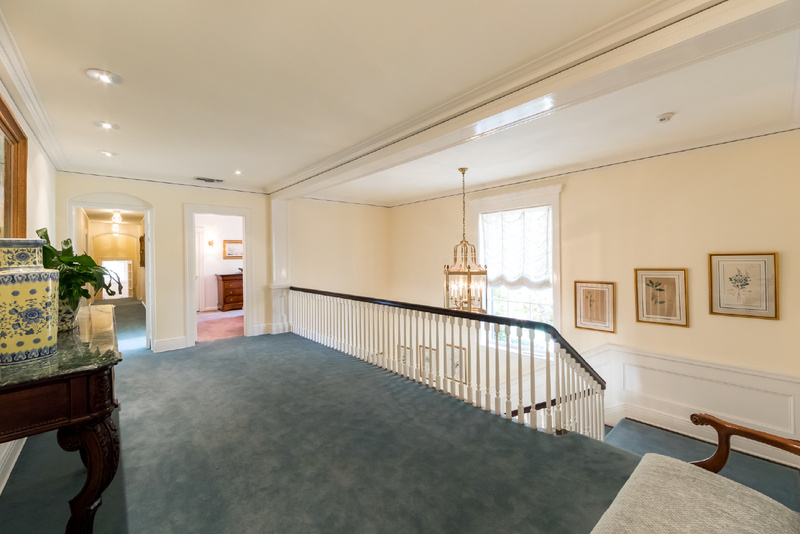 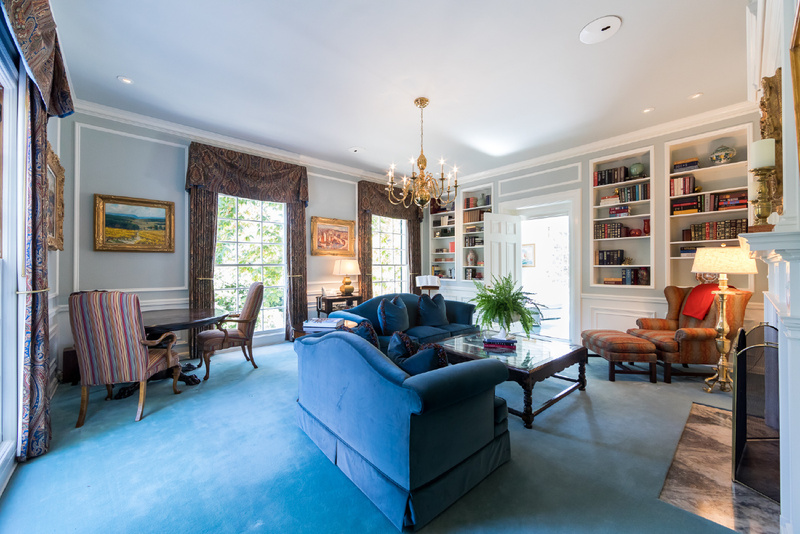 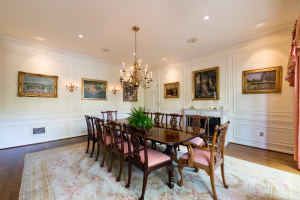 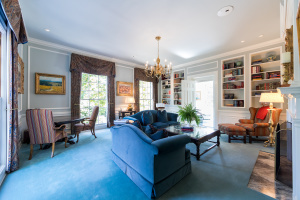 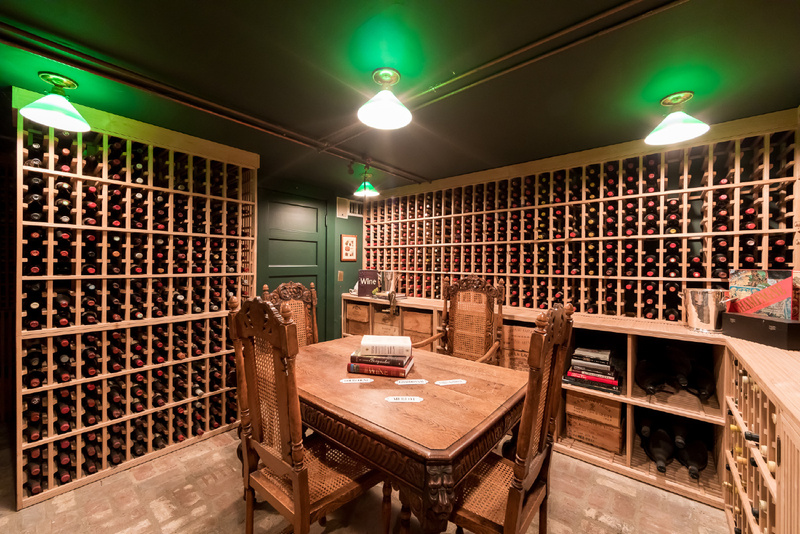 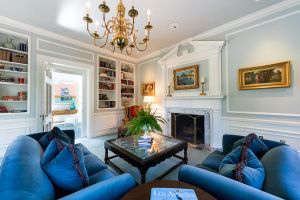 This exceptional house, in pristine condition, features a gracious living room with fireplace, an elegant formal dining room that seats 22, library with built-in bookcases and fireplace, solarium with beautiful windows, kitchen with butler’s pantry, wine cellar and private office. 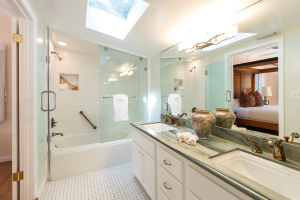 The upper level has five bedroom suites including the master suite with fireplace, walk-in closet and commanding views of the Foothills. 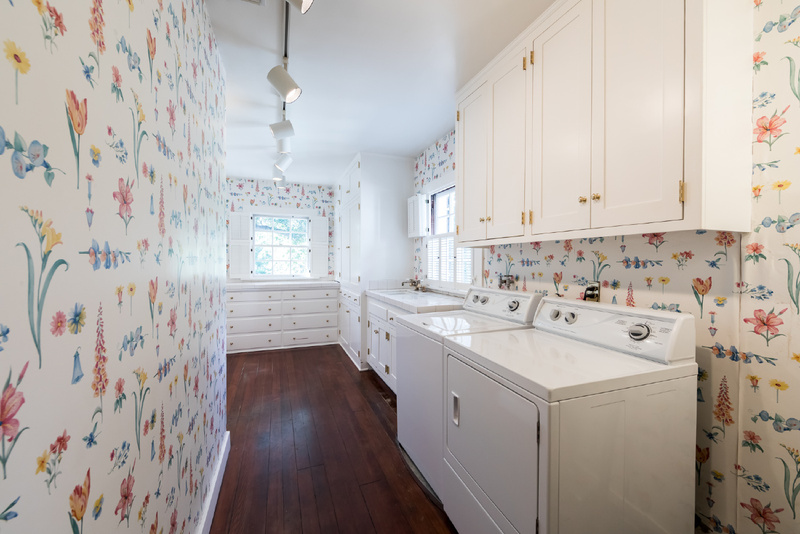 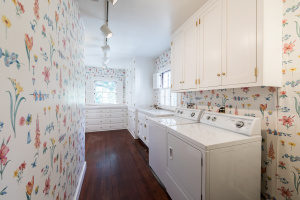 An office and laundry room complete the upper level. 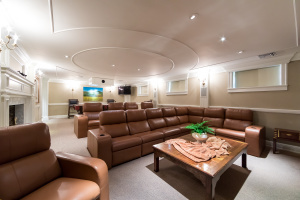 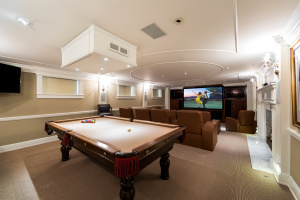 The lower level boasts a media room with theatre seating, fireplace, wet bar and powder bathroom. 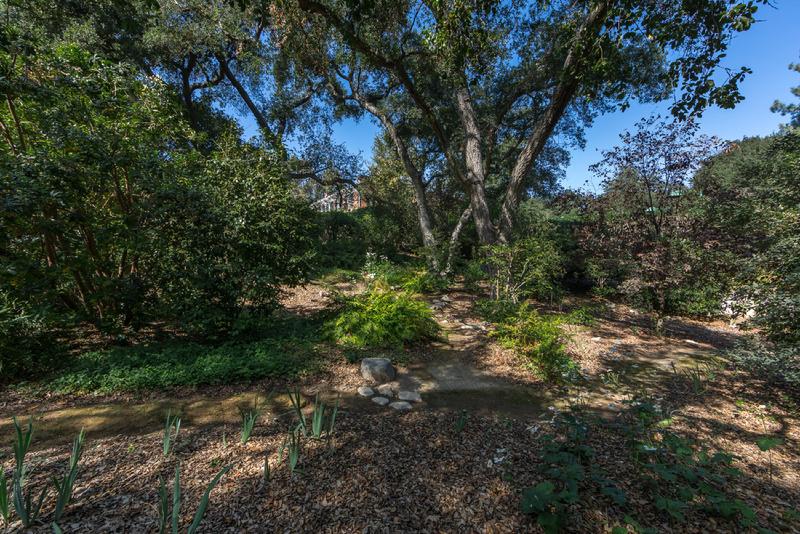 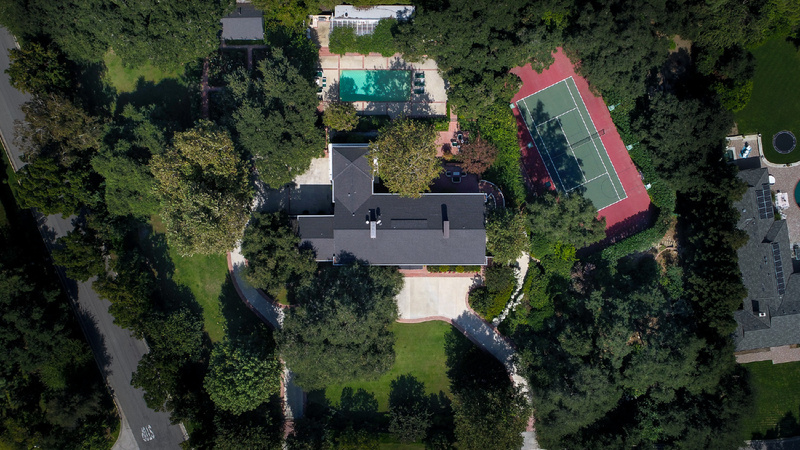 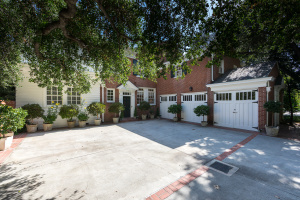 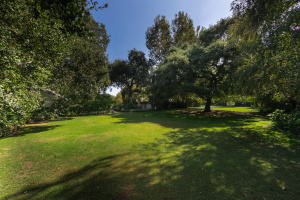 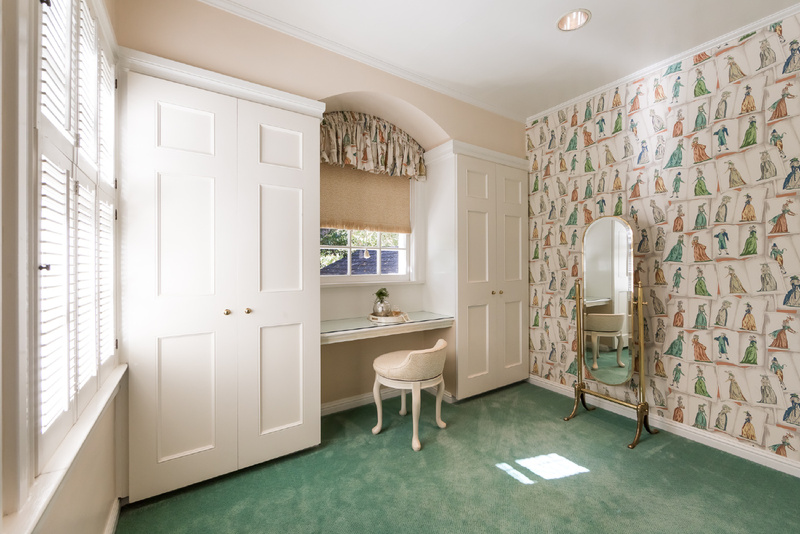 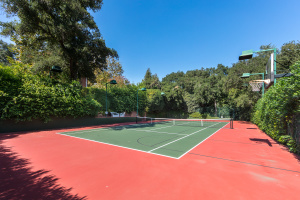 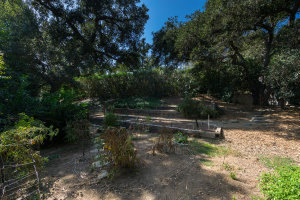 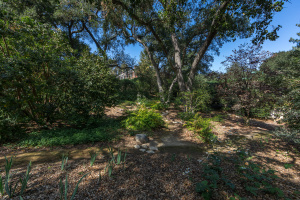 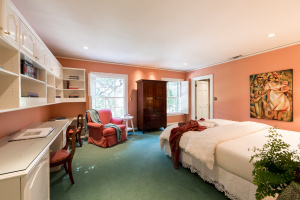 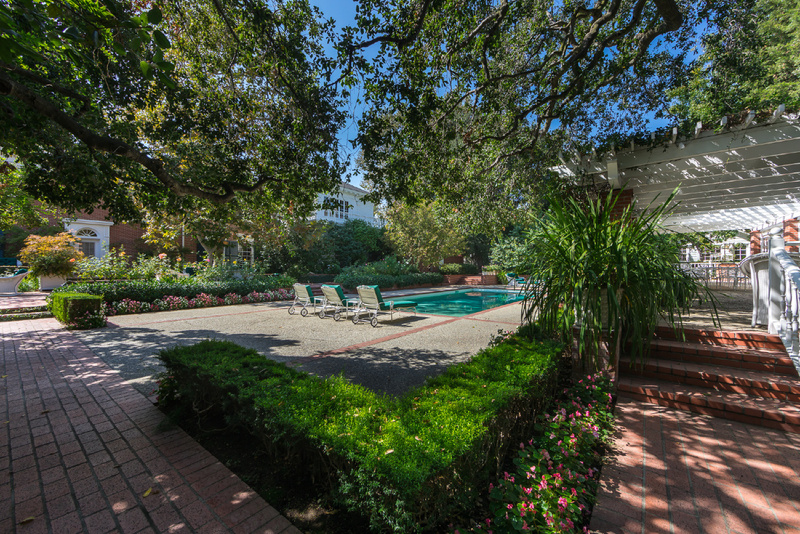 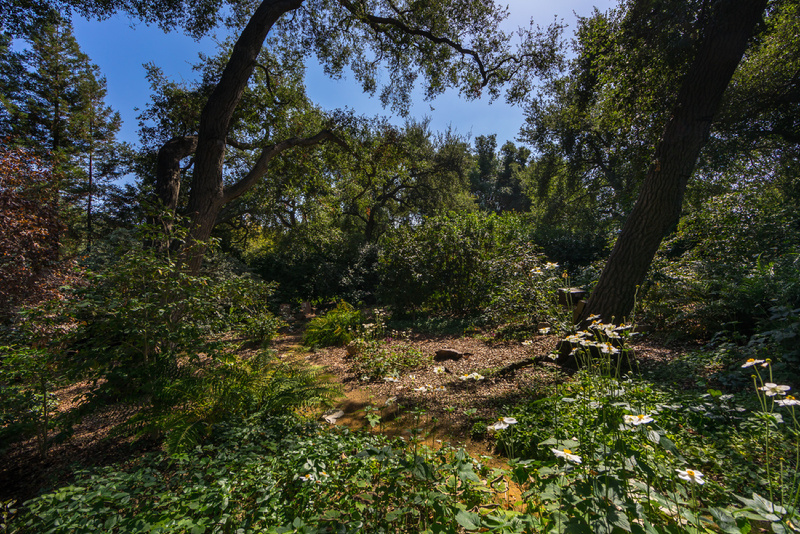 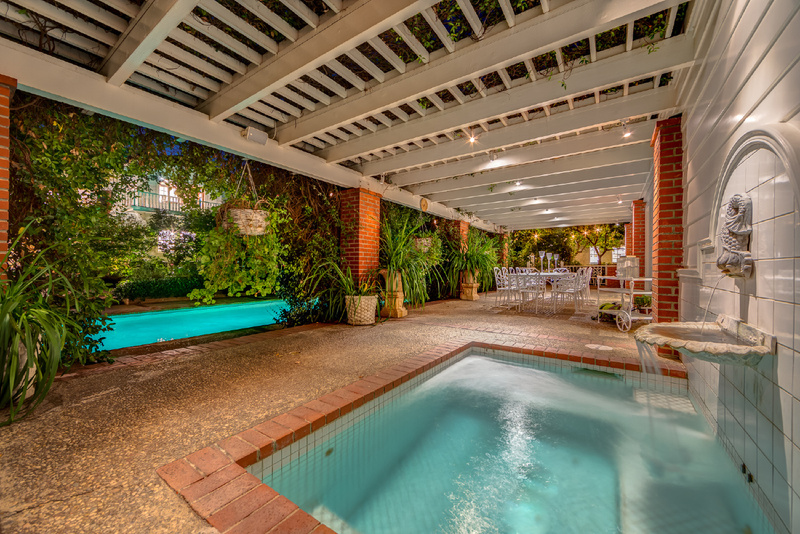 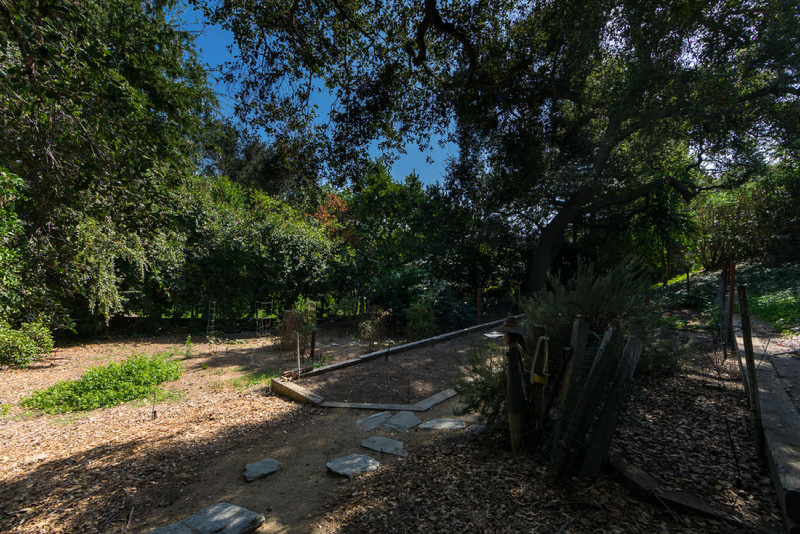 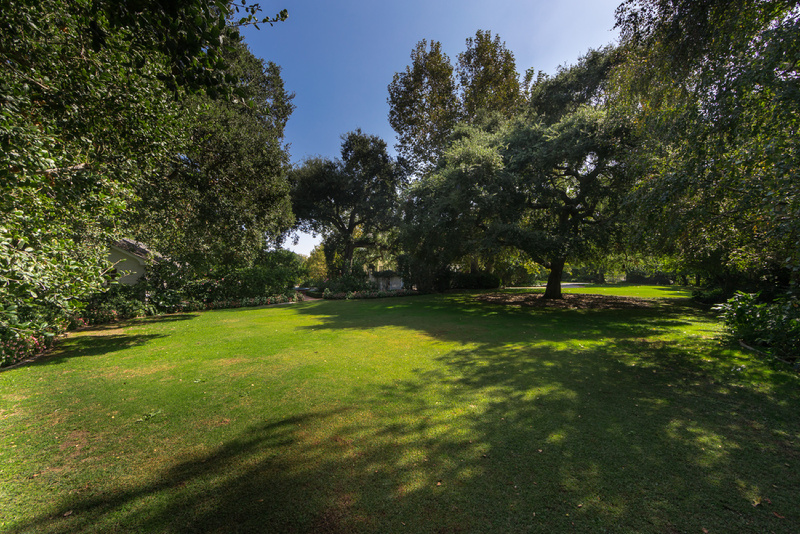 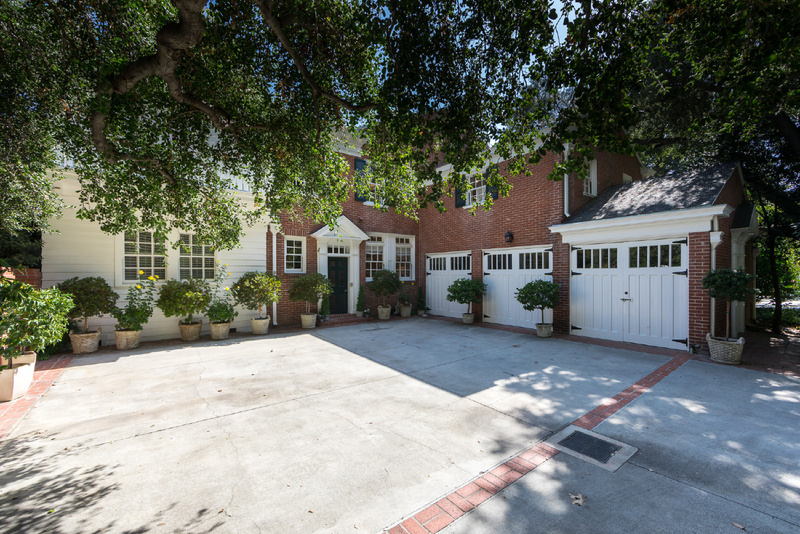 The enchanting gated grounds are an integral part of the entire house featuring large patio areas for entertaining, multiple grassy yards, pool, spa, a north/south lighted tennis court, vegetable garden, oak tree garden and attached three car garage. 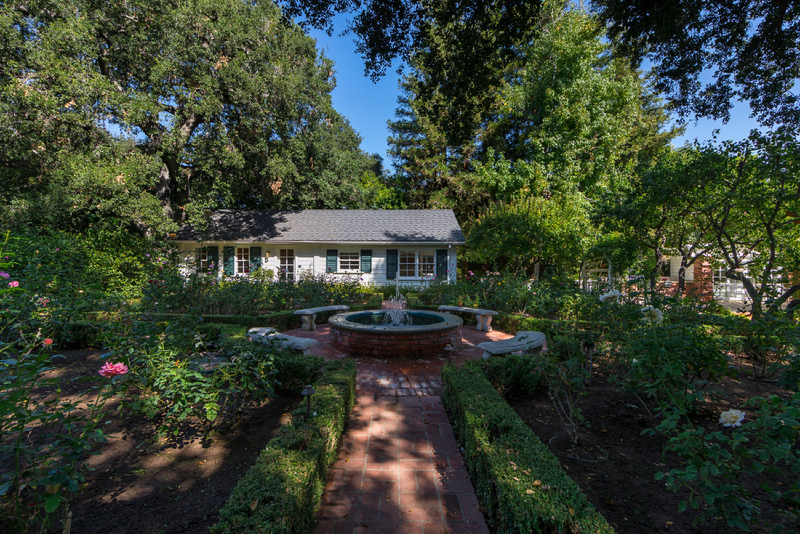 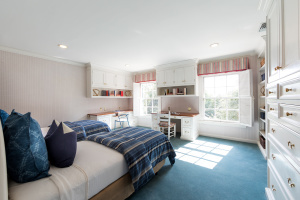 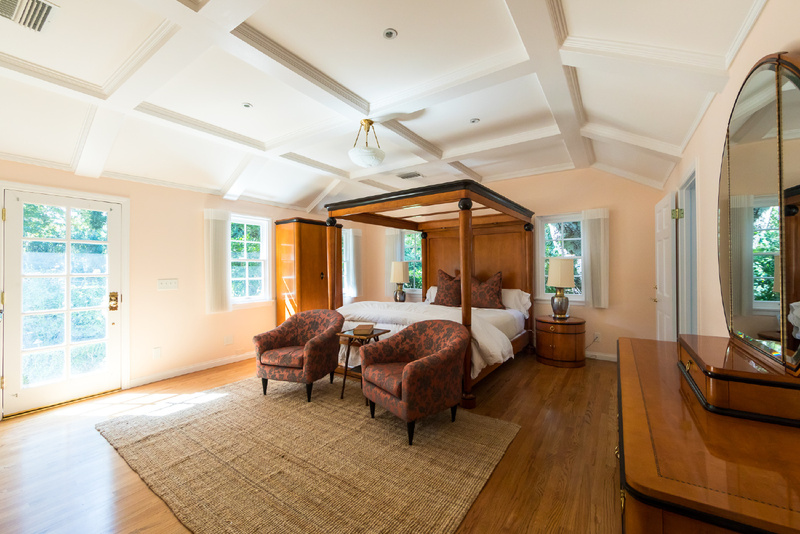 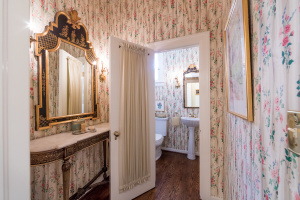 Beyond the rose garden includes a 929 square foot guest house with living room, kitchen, two bathrooms, separate laundry area and bedroom. 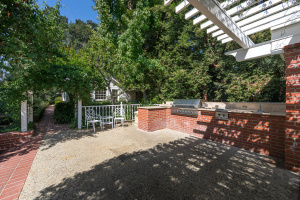 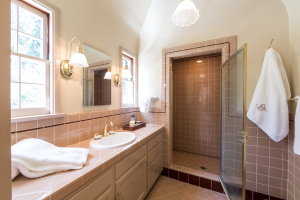 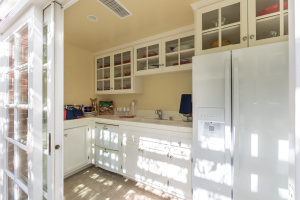 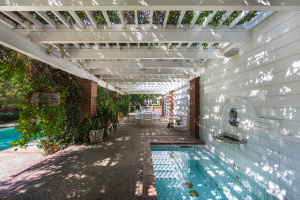 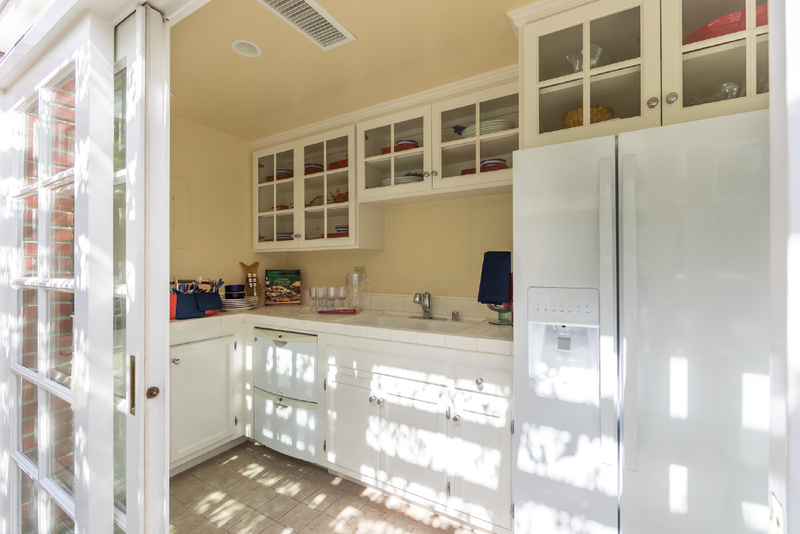 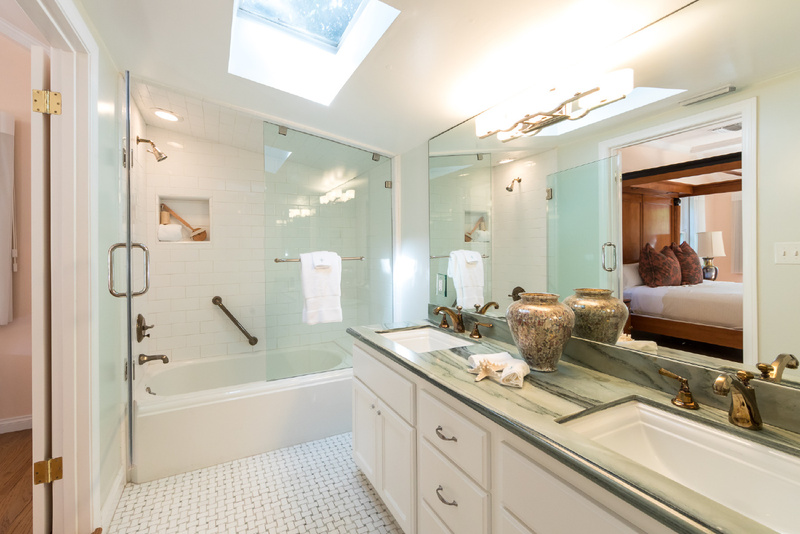 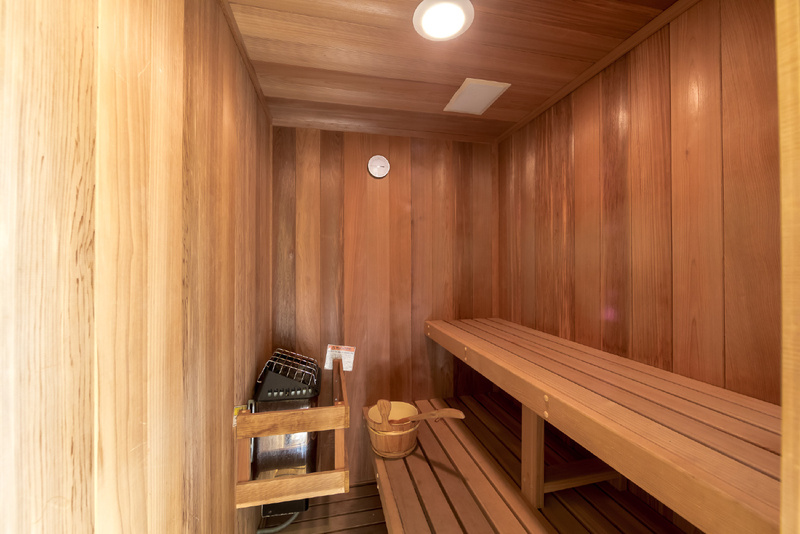 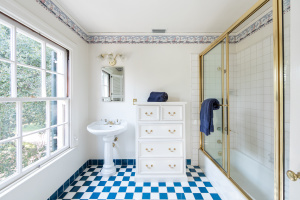 The 219 square foot pool house with adjacent barbeque area has an indoor kitchen, steam shower and sauna. 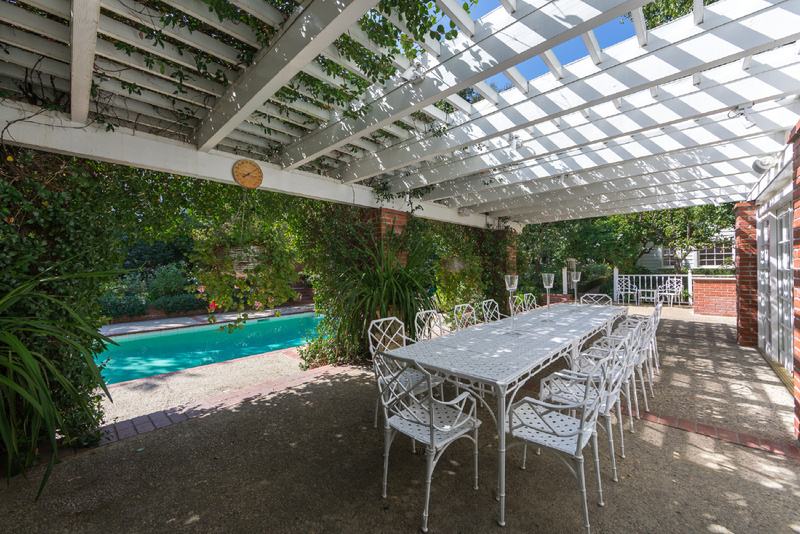 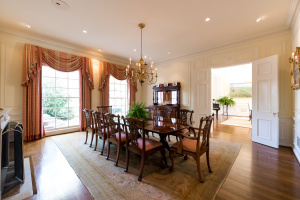 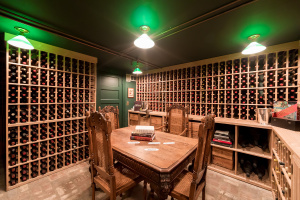 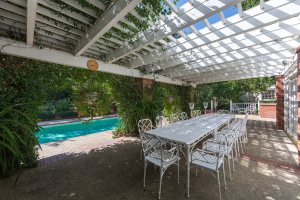 Perfect for entertaining and wonderfully private, yet close to all. 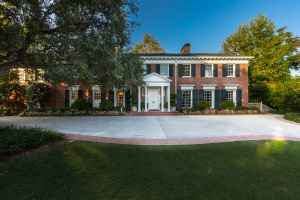 Award winning La Cañada Schools.